Since I've improved my cooking skills dramatically over the last year, I thought it would be good idea if the Mister started learning the difference between "diced" and "slivered". Therefore, we found ourselves at the Cook & Go Culinary Studios last Friday night. 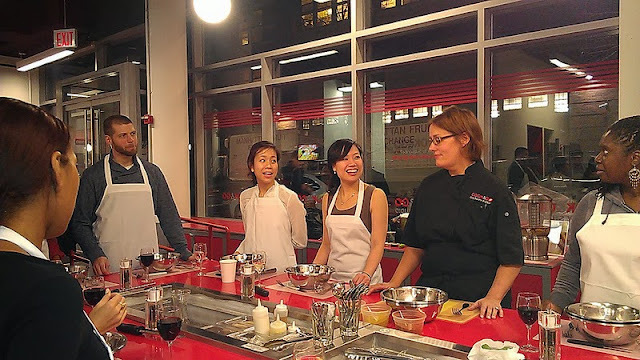 Cook & Go is a cooking studio in West Chelsea that offers various cooking classes, which rotate monthly, designed to prepare a single serving of a multi-course meal. Participants choose which meal they want to learn/cook (theme menus range from "TV Dinner" to "Healthy Holiday"), cook these original recipes with the instructors, and then take the finished dishes home to eat. We were feeling tropical (and wanted a temporary escape from the frigid winter weather), so we decided to sign up for the "Island" menu. 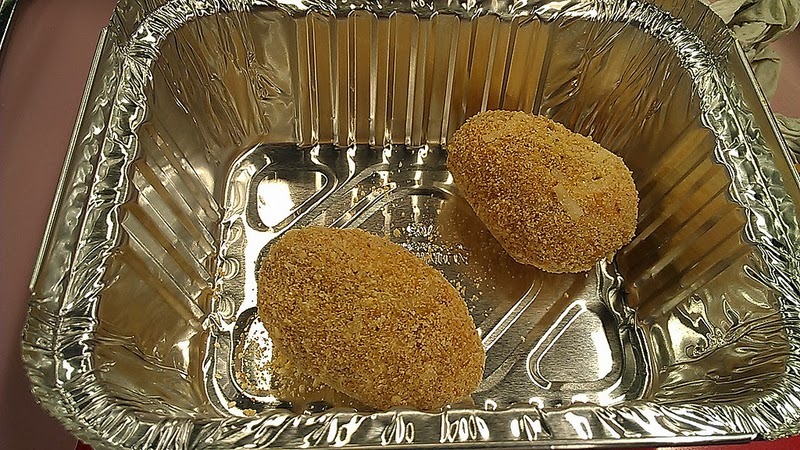 After settling into our station and pouring ourselves a generous helping of the unlimited wine for the evening, we began our first course: pineapple crab cakes and sweet potato croquettes with coconut. The pineapple crab cakes were pretty easy to make- the crab meat, cheese, pineapple and spices were all fairly basic ingredients and didn't require too much precision (i.e. 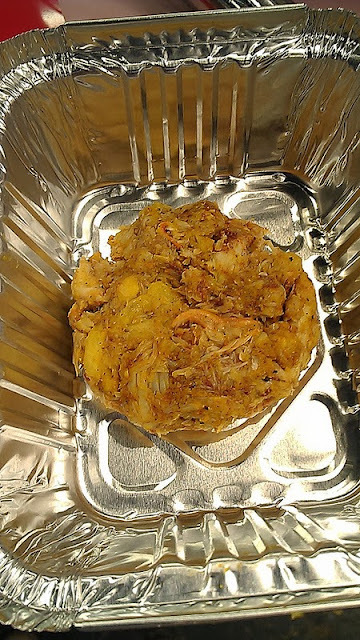 "a helping of crab cake, a pinch of paprika"). The sweet potato croquettes were also pretty simple - the hardest part was stopping myself from taking a bite (I was getting hungry!). Luckily, a round of eggnog was passed around to help whet my appetite (and cloud my sense). 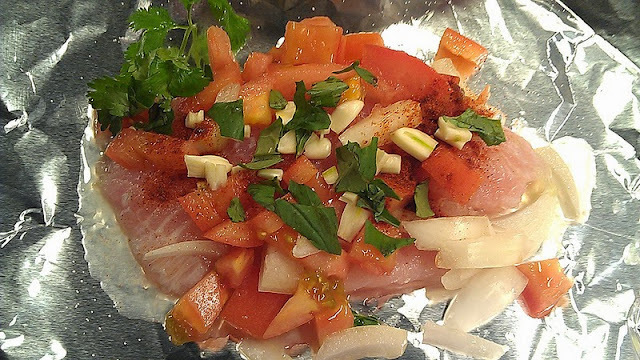 The main course was a foil baked tilapia with lime zest, onions, tomatoes and herbs. Since we only had pairing knives, it was sorta difficult to properly make lime zests without risking a gashed finger. Also at this point, the alcohol combined with my empty stomach had set in - my focus on chopping was waning so my "evenly diced" tomatoes and onions were more like "large uneven chunks".Oops. 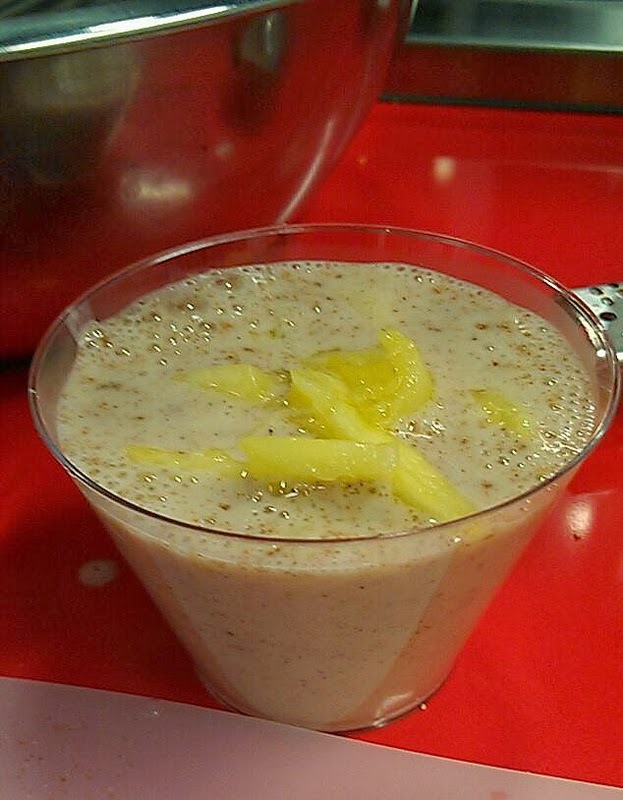 The last course was dessert - a panna cotta flavored with cinnamon, lime and coconut. This wasn't a cooked dish - basically the panna cotta just sets in the fridge for an hour to gelatinize. Overall, it was a really fun evening - I know the Mister developed a better appreciation for what I do in the kitchen - and the food was really fresh and tasty too! And as an added bonus - we are heading out on a camping RV trip next week so we will be sure to use what we learned for our meal prep on the road (as well, we will be using this guide on the essentials tools to bring for camping). Classes at Cook & Go are pretty inexpensive ranging from $39-$59 per person and include all the ingredients - so all you need to bring is yourself and a sponge to soak up all the information!